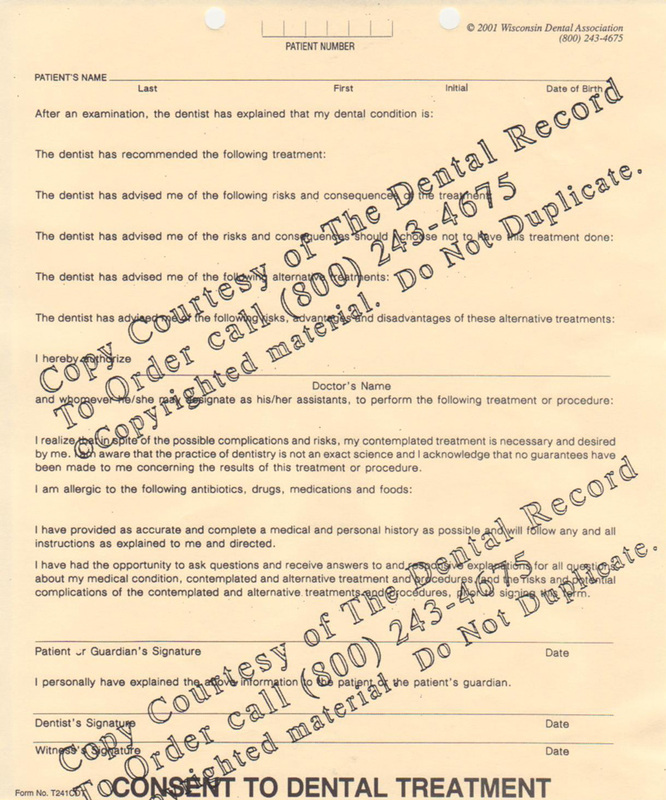 Use the Consent To Dental Treatment Form with patients that need treatment beyond a regular check-up and cleaning. 100 forms per tablet. For patients who need treatment beyond a general check-up and cleaning. This form describes the patient's condition, identifies the recommended treatment, options, risks, and consequences. The form is a fill-in-the-blank-space format. Complete the form by providing the appropriate information in the spaces provided.